This amazing game is for you, cause there are so many flowers and you must collect all of them! Just use the mouse to play and you will love it! In this game you will be in the cool island that is full of exciting surprises. Have fun! Do you like flowers? Then this game is for you! The only thing you need to do is just to collect all the flowers here and show us that you are the best one! Just use all the skills of yours and solve each puzzle as better as possible. Do you think that it is so easy? Well, then just try it and be sure that you can cope with it. 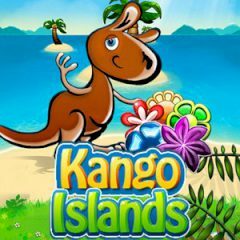 Here you are welcome to the amazing island where you can see a lot of animals and flowers. Are you ready for that? Then do not waste your time and you will love this cool game.